Eleanor & Park is a love story following two lovestruck sixteen year old misfits. Park is half Korean, half white, dresses in dark clothes, listens to punk and loves comic books. Eleanor is the new girl at school. She’s a bit bigger than all the other girls, her style is weird, she has red hair (with a life of its own) and has a secret. While Park comes from a family where his parents love each other very much and even still make out after so many years, Eleanor’s family is a whole other kind of story. She lives with her mother, a violent stepdad and four siblings. All five children are crammed up together in one tiny bedroom, huddling together whenever they are woken up by their mothers screams or their stepfathers yelling. 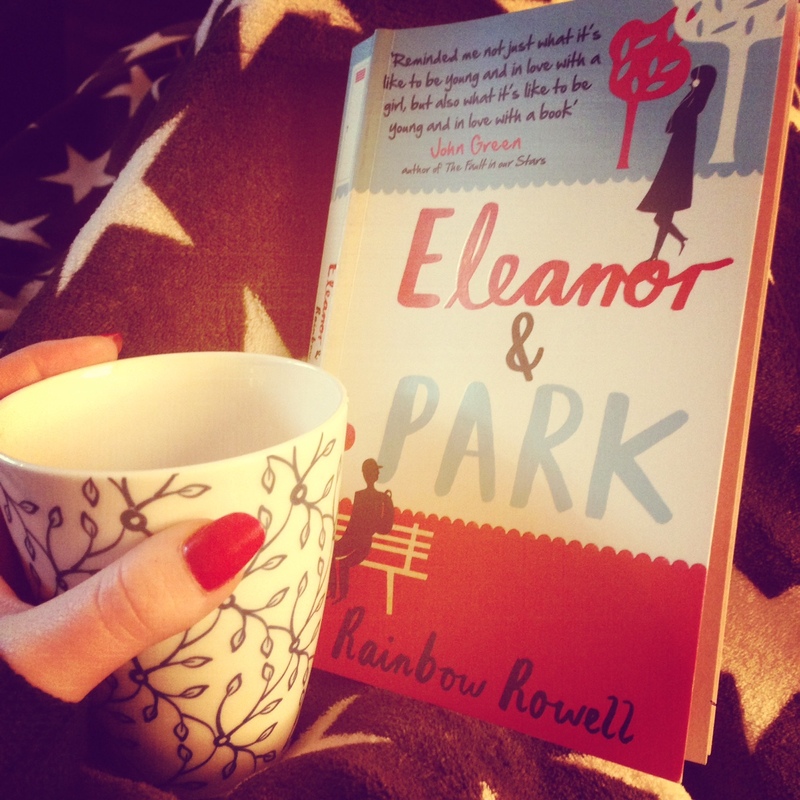 When Eleanor and Park falls in love with each other, Eleanor knows that her stepdad will never let her have that joy in her life, but she can’t picture a life without Park and Park can’t picture a life without Eleanor either. What are they to do? I’ve heard so many great things about this book and finally found the time to read it. This was a quick read for me. I enjoyed the story and could much relate to the weirdness and gingerness of Eleanor. I went into this believing it would be just another cutesy high school romance novel, but Eleanor & Park touches on so many other subjects than that of first love. Bullying, abuse, domestic violence and body image are some of the main themes throughout this book and even though this is a fictional story it hurts to know that the life of Eleanor is ever so real to so many others in this real world. I’m not one to read a lot of young adult romance novels, but I did enjoy this one quite a lot. I thought it was funny, cute and also shook my heart from time to time (didn’t make me cry though) and I’m giving it a 4 out of 5 stars.